An employee walks past a logo of Alibaba Group at its headquarters on the outskirts of Hangzhou, Zhejiang province. A leading Russian business daily reports that Sberbank, which is the largest bank in Russia, and China’s Alibaba Group are exploring the idea of an e-commerce joint venture. RBTH finds out why China and Russia need this partnership. China’s Alibaba Group and Russia's Sberbank are conducting talks about the creation of an e-commerce joint venture, the Kommersant business daily wrote on Jan. 18, citing sources in the Russian government. Russian government officials along with the presidential administration and the Central Bank are close to finalizing an agreement on the main conditions for the joint venture, where Sberbank is expected to hold a stake of at least 50 percent, the paper said. 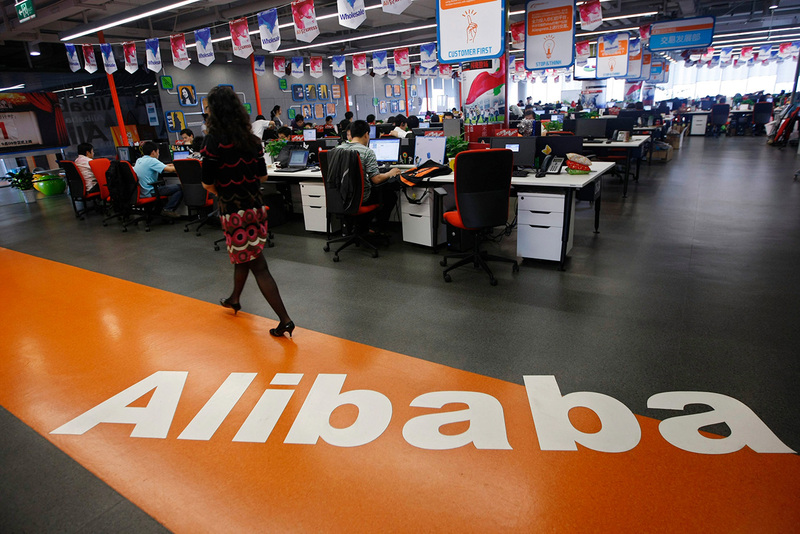 The Alibaba Group may bring its current cross-border trade business in Russia and former Soviet republics into the joint venture, as well as its businesses in Turkey and several Eastern European countries. Sberbank will provide most of the financing for the joint venture, as well as the marketing and logistics technologies. This will, in effect, be a company with an international network worth several billion dollars. In November 2016, Sberbank proposed to build a "national ecosystem" with its resources and infrastructure, modeled after the large American and Chinese companies in the field of e-commerce such as Google, Amazon, Facebook, and Alibaba. By 2025 the economic value of such an ecosystem may be more than 1 trillion dollars (65 trillion rubles), the bank estimates. Besides a profitable investment in a growing company, Sberbank is also interested in the field of digital technologies and electronic payments. “The Russian side is interested in the online retail business that is actively growing globally but still underdeveloped in Russia,” Irina Bolotova, retail consultant at the JosdeVries agency told RBTH. Oleg Remyga, China director at the Skolkovo Moscow School of Management, believes that Sberbank and Alibaba have a convergence of interests. “It is no secret that Sberbank is positioning itself as the most innovative bank [in Russia], and access to Alibaba Group's new financial and banking technologies will help it obtain that status,” Remgya told RBTH. “Taking into consideration Sberbank First Deputy Director Lev Khasis's long-term retail experience, the Russian side knows what it's doing," adds Bolotova. Lev Khasis is famous for having successfully managed one of Russia's largest retailers, the X5 Group. Why do the Chinese need the joint venture? While Sberbank's interest in the joint venture is clear, Alibaba’s aims are still vague, and may even include the achievement of several goals simultaneously: a facilitated entry in the Eurasian Economic Union (EAEU), overcoming bureaucratic barriers, and overtaking its competitors. The Chinese want to create the joint venture to have a large state company as an ally, the head of which has "direct access to Putin," believes Alexander Gabuev, director of the Russia in the Asian-Pacific Region program at the Carnegie Moscow Center. “This is the best protection from local competitors and those who try to impede Alibaba's business,” Gabuev told RBTH. “The creation of a joint venture on Russian territory will help obtain relatively easy access to the EAEU market,” Remyga says. The EAEU countries are key to the realization of China's ‘One Belt, One Road’ initiative. That is why it is important for the Alibaba Group to participate in the formation of the transport-logistics corridor and the innovational corridor, according to Remyga. Moreover, the Chinese company needs a strong Russian partner that will take care of legislative, financial and fiscal issues. “It is not a secret that Alibaba's subsidiary structures occasionally come across bureaucratic barriers within the Russian government (delays at customs, problems with the Russian postal service),” Remyga adds. The creation of the joint venture with Russia's largest bank will definitely help the company find more ways of solving such problems.